Should I hire in-house SEO specialists or outsource instead? This question keeps many business owners up at night. Do you lose sleep over this, too? When it comes to SEO, you want to have the best SEO guy in town. I mean, you can’t just let a random guy who claims “I do SEO” touch your business. So we decided to help you answer this question once and for all. In this blog post, we’re going to uncover the deep crevices of the in-house vs. outsourced SEO issue so you can make the best decision for your business. The key to deciding on this matter is to consider the needs and capacity of your business. Question #1: What kinds of risks are you willing to take? Question #2: Which course of action makes more sense to you financially? Question #3: How much control do you want to have over your SEO strategy? The first question deals with the kinds of battle you will choose. Both building an in-house agency and outsourcing your SEO involve risks, but these risks differ significantly. Let’s start with the risks of building an SEO team. Just about anyone with Internet and knows how to make a Google search can learn the basics of SEO. 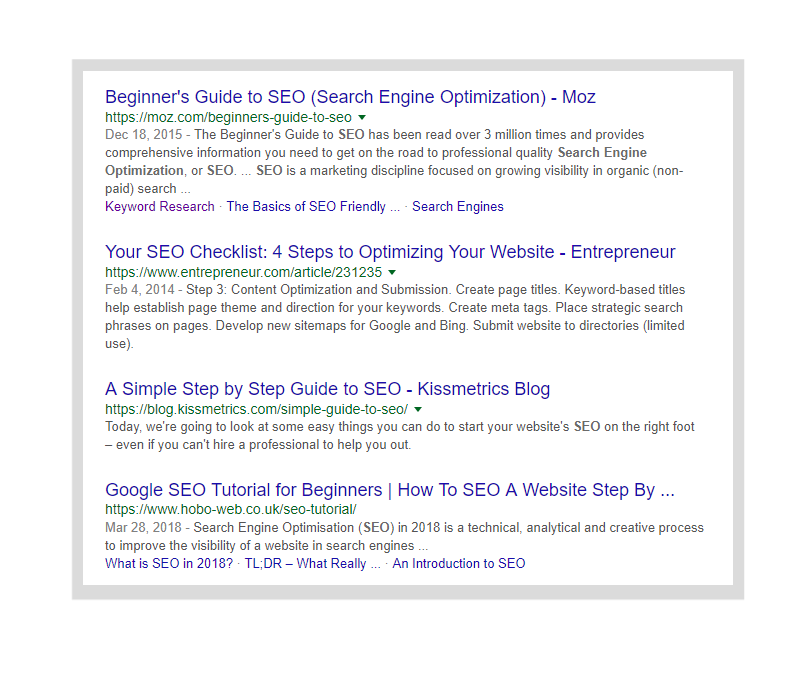 There’s no shortage of blog posts, guides, ebooks, podcasts, video tutorials, and even online courses that teach you how to do SEO. It makes it so easy for anybody to claim they “know SEO”. And anybody can get certified as an “SEO Expert” with any paid courses out there. But what sets apart the real SEO experts from the bunch is, simply, lots of experience. It’s easy to create a great-looking resume and answer questions about SEO during an interview, but you’ll only really know if your hire’s the real deal once they start working for you. And if you find out that the “expert” is full of fluff, you’ll fire the guy, look for a replacement, and unnecessarily lose money in the process. Because firing and looking for replacements are such a waste of time and money, most companies don’t bother and just hope that their hire will learn soon enough. 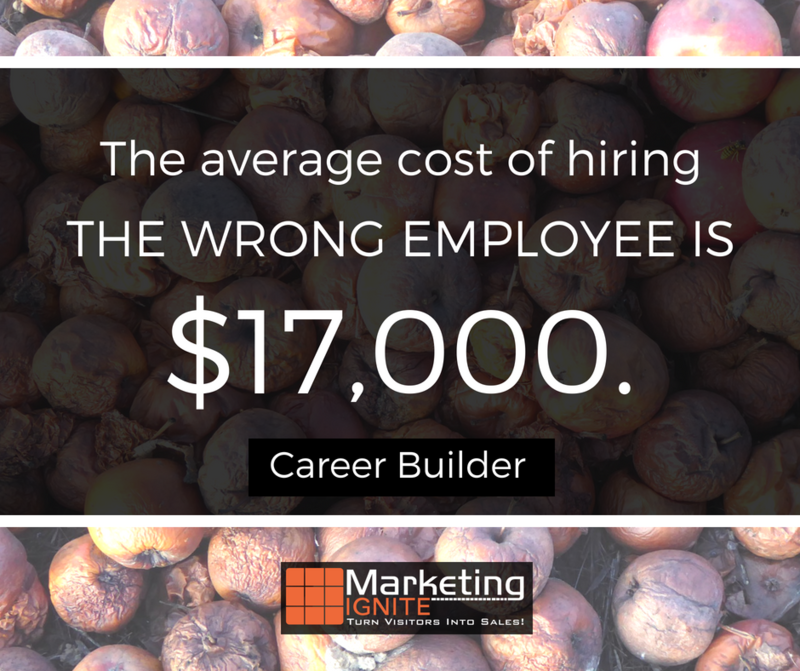 The risk of hiring the wrong guy and pushing back your timeline months or even years – and losing a significant amount of money – is very real. What you can do to avoid it is to have a thorough, strict hiring process – which requires you to have a discerning hiring officer and a test to properly gauge a person’s SEO skills. If you don’t want to deal with the risk of hiring the wrong people for your SEO team, outsourcing to an SEO agency may make more sense. 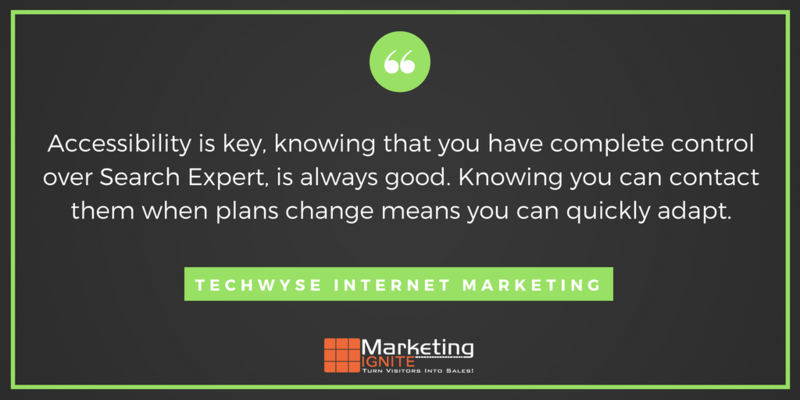 SEO agencies – like Marketing Ignite – are armed with the expertise, tools, and experience needed to successfully pull off an SEO project. Sure, there’s still the risk of working with the wrong agency, but this can be minimized by asking for client testimonials and case studies. Successful SEO agencies often have lots of case studies under their belt to prove that they know what they’re doing. 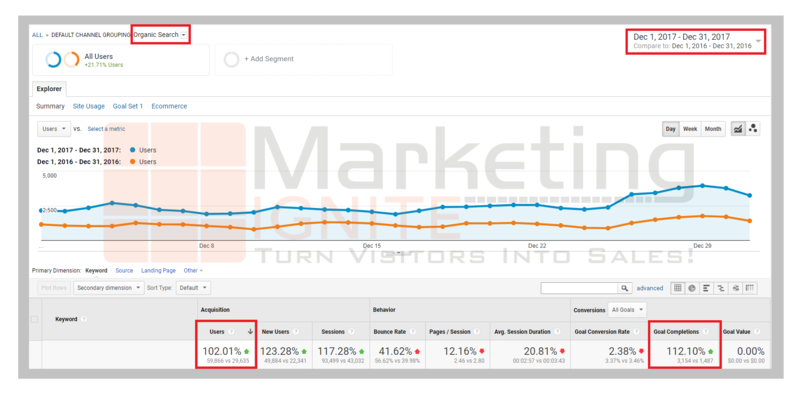 These are some of our case studies, and you can clearly see the date range and important KPIs like the rate of increase in users and goal completion. Seeing an agency’s track record just really eases your mind. You can also ask for a list of previous and existing clients that you can talk to, and most agencies would be happy to comply. It’s a lot easier to verify an agency’s experience than an individual. Outsourcing to an SEO agency is far from being safe. For one, there’s the risk of the agency not being familiar enough with your industry or not willing to go the extra mile to know it like the back of their hands. There are also agencies that go off the grid for days, leaving you wondering about the status of your project. 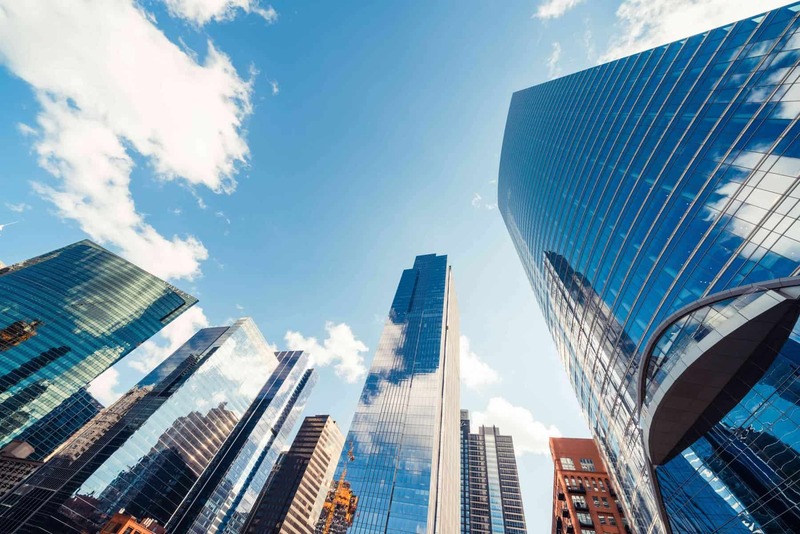 To address these risks, you can ask if the agency has worked with companies in a similar industry as yours. You can also look at their previous works, ask them, or ask their clients about their communication and reporting style. So those are some of the risks involved in hiring an in-house SEO team and outsourcing to an agency. Which risks am i willing to take? Let’s now tackle the second question. This is a crucial question… and arguably the biggest factor you should consider. Everything boils down to your budget. I am a businessman, and I know the importance of drawing a budget and sticking to it. But more often than not, building and maintaining the perfect SEO team will cost you more. 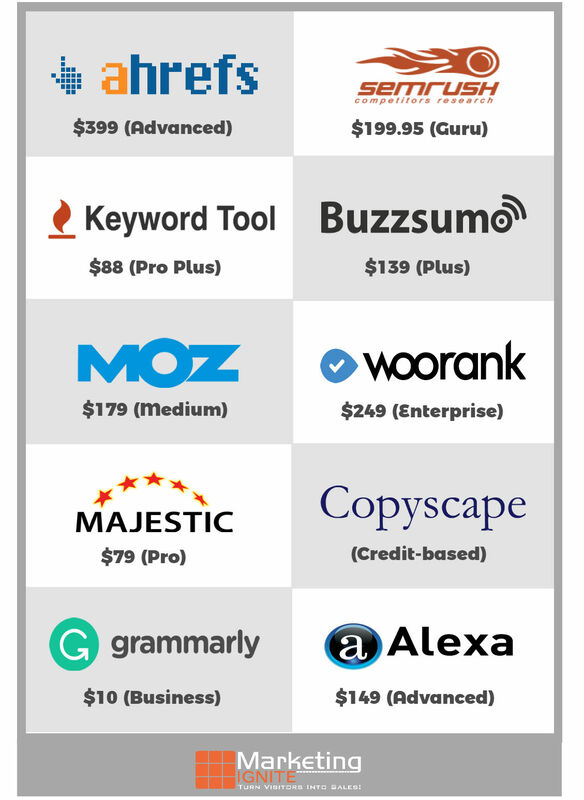 SEO Specialists are not cheap. At least the best ones aren’t. 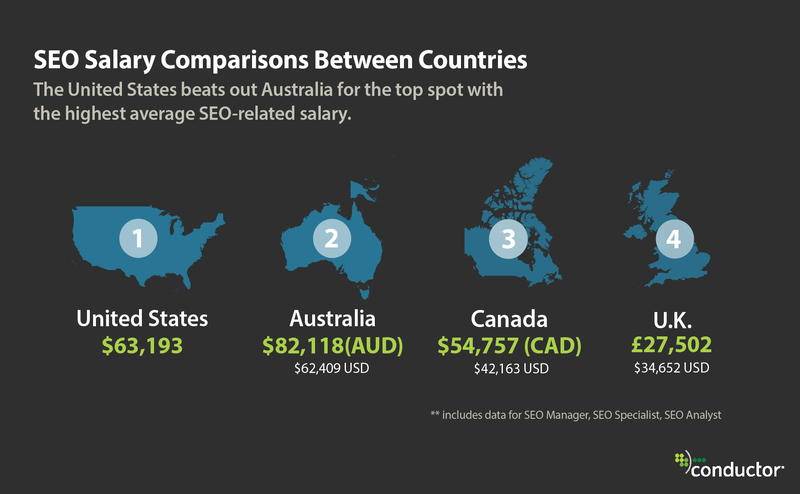 According to this report, SEO Specialists in the US earn an average of $63,193 annual income. This is the highest average salary of SEO Specialists on the planet. The report also found that the salary of SEO Specialists had a 28% increase from 2016 to 2017. This only means that if you were to hire an in-house SEO guy, you should expect a significant salary increase every year. You often need more than one guy to properly SEO your site. Each phase requires unique skills and expertise, which means you need at least one guy for each. A project manager – this should be the person who develops SEO goals, delegates tasks, and oversees the entire project. Data analyst – this guy should know how to interpret traffic analytics, keyword data, and other KPIs. Content Creator – content drives SEO, so your team should have at least one creative to get the ball rolling. Link Builder – link building is a huge part of SEO, so at least one person should be pursuing link building opportunities for you. Web Developer – site speed, responsiveness, and all that other techie stuff also impact SEO, so your web developer should be adept at optimizing your site. Salaries are based on figures provided by www.PayScale.com. While some folks get tempted into hiring newbies just to save a few bucks, what you save on their salary might cost you more in the long-term. 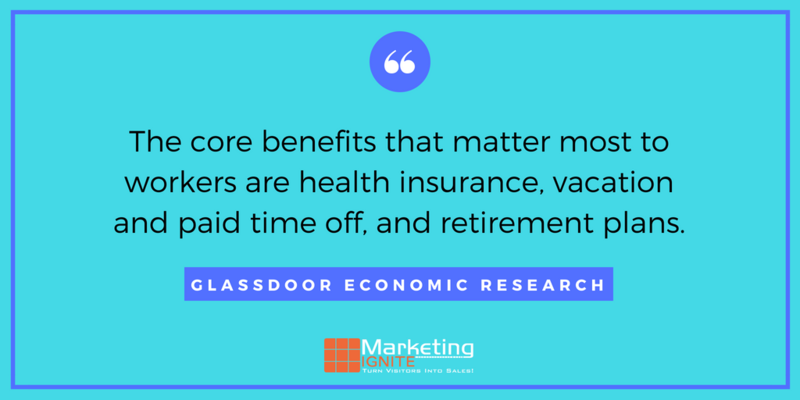 You also have to consider the medical and other sorts of benefits you need to provide to your team. Kaiser found that small businesses have to pay around $6,400 and $17,600 annual health insurance premiums for single and family coverage, respectively. And you shouldn’t be one of them. Lack of health benefits is the reason for 20 percent of employees to leave their job, according to an Aflac Workforces study. If the premiums are too high, you can explore alternatives to group health insurance such as the QSEHRA or “qualified small employer health reimbursement arrangement”. I know by now you’re realizing that building an SEO team is expensive, but there’s one last thing we need to talk about. The SEO landscape is constantly changing, so what works today might not work tomorrow. Considering this, you need to invest in your team’s regular training, so they can be and stay the best at what they do. This means paid courses, seminars, conferences, etc. When you hire an SEO team, you can’t expect them to bring their own SEO arsenal. You need to buy your own SEO tools to stay on top of the competition and achieve your KPI’s. Although there are many awesome free tools out there, for some tasks you just have to go for the paid ones. 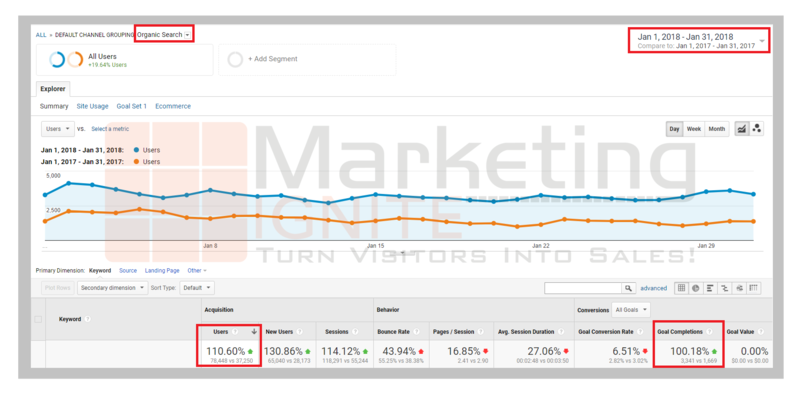 Friendly tip: If you can’t invest in premium SEO tools right away, you can try out the free ones first and upgrade to the paid ones later on. Now let’s talk about the costs of outsourcing your SEO. I’m not going to tell you that working with an SEO outsourcing company is affordable. Despite that, it’s usually more affordable than hiring an entire in-house SEO team even if the agency is comprised of highly paid experts in the industry. An SEO outsourcing company can charge by the hour, monthly, or per project – which often means more flexible payment setups. Let’s take a look at each closely. SEO consultants often charge $80-$400/hour. Monthly retainers often range from $400-$2,000/month depending on the scope of tasks. Projects often cost around $5,000 to $30,000 depending on the scope and level of complexity. What’s great about project-based fees is you can set the scope of the entire project so you’ll know exactly what you’re going to get. You can totally forget about paying for benefits and tools. 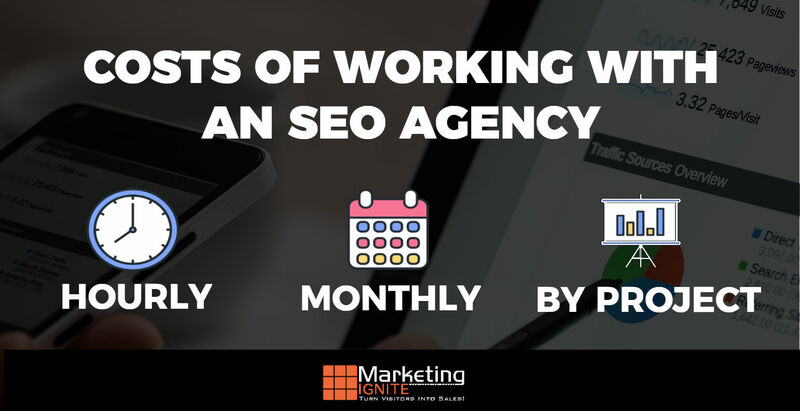 The burden of paying for health benefits falls on the agency owner’s lap, and any decent SEO agency will have their own top-of-the-line tools to get the job done. Needless to say, when it comes to costs, outsourcing SEO often wins. With SEO agencies, you have many payment options to suit your current situation. And you don’t have to worry about taxes, benefits, tools, training, and all those expensive stuff. You can then start asking for quotes from agencies and comparing that with the potential costs of hiring an internal SEO team. The last thing I want to talk about is the level of control you’re going to get in both options. This is a pretty important issue to think about as soon as possible, so that you won’t be stressed over it later on. One of the most attractive benefits of hiring an in-house SEO team is the full control you’ll have over the SEO strategies that they will develop. You can roll up your sleeves and get really hands-on here. You can literally stand behind your team and look at their screens whenever you want. In other words, if you see yourself sitting down with your SEO team over coffee and learning all about their latest adventures, then an in-house team may be great for you. It’s also easier to communicate with them regularly since they’re just in the next cubicle. This results in an easier back-and-forth collaboration between your marketing, sales, and SEO departments. On the other side of the coin, if you want to get your hands off the entire thing, then an SEO agency makes the most sense. You’ll have an initial consultation where the agency tries to get to know you and your business. The SEO Agency will then develop an initial SEO strategy based on your specific needs and goals. You give your stamp of approval (or rejection). They implement (or revise until ready for implementation). They give you regular reports. Notice that in the entire process, you only have to be involved in the first and third steps. And all you have to do is literally discuss your business and read and evaluate their proposal. Once the strategy is finalized, you can sit back, focus on the other sides of your business, and get regular updates on how everything’s going. You’re essentially paying a bunch of SEO experts to handle the entire thing for you. The level of control is obviously less, but it’s a trade-off for more time and less effort on your part. There’s also a higher sense of security that your SEO is in capable hands. The flipside to this is you’ll also have a tougher time getting them onboard with recent changes in your company. An in-house SEO team is just a few steps away in case there’s an important update about your company or industry. You won’t get that with an external agency. If your marketing and sales department decided it’s a great time to launch an exclusive discount campaign, they can easily tell your web developer and SEO team to add a webpage specifically for that purpose. It won’t be as easy with an SEO agency. This is one of the common issues when working with an agency, but at Marketing Ignite we remedy this by maintaining an open line of communication with all of our clients. Again, it’s a trade-off between the level of control and time, effort, and ease of communication. Do you want to have total control over you SEO or have someone else take the reins? 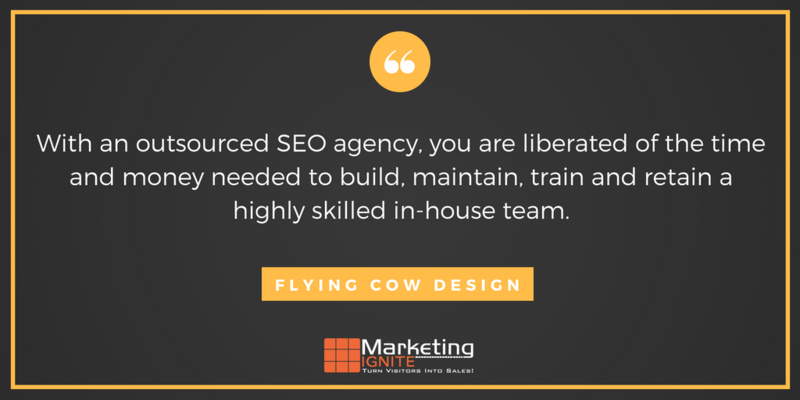 Those were the three crucial questions you need to answer to decide whether to build an in-house SEO team or outsource SEO services to an agency. At this point, what do you think is the best course of action for your business? Share it with us by leaving a quick comment below. Correct. If you hire the right agency that truly cares about the client and have lots of experience it’s the ideal. Very good and useful article. Thanks! Do you think it’s important where the hired SEO team is located? I mean should those guys be close to you, so you can meet them personally, or it doesn’t matter, because you can do everything (meetings, discussions) online nowadays, anyway? Thanks for the comments Chris. More and more companies seem to be open to hire their SEO consultant anywhere. It’s all about the results in the end so the key point is to hire the agency which can give the best ROI. Having said that, there could be challenges if the team is located with a 12 hours time zone difference because having online meetings will not be so convenient then.